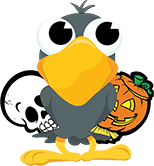 Pumpkin Sculpting - Halloween Discussion Forums, Costumes, Horror! Do you have a special way to carve a pumpkin? Anyone ever try sculpting a pumpkin? I say I'm gonna try it every year but I'm always short on time and never do. Pumpkin Masters has a new product this year that may help. While technically it's not sculpting, it does give the appearance. Looks like it's going to be available this year at Spirit. I gather from reading the description that the etched pumpkins will last longer than carved ones. I'll definitely give it a try seeing as how I should have plenty of pumpkins in case I mess up. Actually, this looks more like a peeling kit, but that should be a decent introduction to sculpting. As far as having a lot of pumpkins go, looks like I'm gonna end up with 12 or 13. I bought twice as many last year. I'm gonna have to give a couple to the neighbor kids because they did so much oohing and awwing over watching them grow. This all assumes the pumpkins won't rot before the end of October. If I grow some again next year I'm gonna start two months later. I use wood gouges to sculpt, but clay tools would work just as well (maybe better). I don't recommend a Dremel-- I have one. It's really great for detail work, but it's messy as hell. If you go that route, I'd wrap your dremel in plastic (leaving just the tip exposed) so you can clean it faster when you're done. Then, when you're carving, make sure you wear an apron and go outside to carve. I think I'm limited to 5 pics per post, so I'll get to some sculpting in a follow-up post. This is, to date, the only pumpkin I've ever used the dremel on-- and it was just used for the detail work. I think if I'd had a larger variety of tips it might be more useful, but it's still pretty darned messy... which is normally why I don't use it. I used my old Pumpkin Masters sculpting kit for the majority of the sculpting. Nice tutorial. That will come in handy. I went through 3 pumpkings this year trying to sculpt, ended up just carving out some eyes and a mouth in the end lol.